It ‘s a good thing that Ella Enchanted was the first Gail Carson Levine book I ever read, or else I might not have read another one. Her other books aren’t bad but they are definitely not as good as Ella Enchanted. I have been working my way through all of her books in hoping of finding another gem. 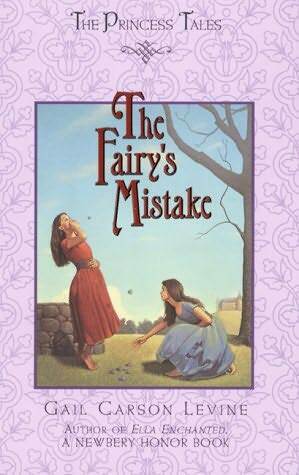 I have been a little surprised to find out that the author of one of my favorite books was spot on with Ella Enchanted and sometimes way off with her other stories. Here are my two latest reads by her. Levine often does a new twist on a classic tail. This is her version of the old tale involving a fairy giving a kind girl gems that fall from her mouth every time she talks. Honestly? I hated her version. The kind girl seemed practically useless with no ability to stand up for herself. She married a prince that only loved her for her gems and even though her life is better at the end of the book, it is not great. If happily ever after meant ending up like the princess in this book, we are all better off in our regular own lives. It is a short read and easy to understand so it might be a pick for those of you who read to your little girls but there is no real value to it at all. HOW DISAPPOINTING! Sleeping Beauty is one of my all time favorite fairy tales and I was looking forward to it. Levine’s Cinderella is so great, her Sleeping Beauty has to be as good, right? Nope. Not at all. It was kind of boring, nobody liked the princess because she knew too much. The princess she ended up marrying only loved her because she had the answer to all of his questions. It took me a little while to get through this book, not because it was long but because it couldn’t hold my interest. What you should have learned from this: This books were just alright but Ella Enchanted is great! I agree- Ella Enchanted is definitely her best work. Another one of her books that I thought was pretty good was The Two Princesses of Bamarre. It was very creative and original. The rest are mainly "ok".